A fine example of late Victorian public architecture, visitors to the Halls are often surprised by the opulence of the interior and remark on the fine plasterwork ceilings. This makes for a remarkable setting for many wedding and civil partnerships and the flexibility of the venue allows you to tailor your celebration to your individual needs. The ceiling in the Great Hall contributes to some of the best acoustics in Britain for large-scale orchestral works and the Halls continues to welcome world-renowned orchestras and record labels for recordings and rehearsals, including Chandos Records, the English National Opera and London Philharmonic Orchestra. We also hold birthday parties and conferences, and the venue is ideal for hosting TV shows along with other filming opportunities. leave Charing Cross, Victoria, Waterloo East and London Bridge towards Bexleyheath/Dartford. We're two minutes walk from Blackheath station. 54, 89, 108, 202, 380, 386, N53 and N108 all stop in Blackheath. the nearest Docklands Light Railway station is Lewisham. Connections to Blackheath Halls can be made by Train or Bus. The A2, A20 and South Circular all provide easy access to Blackheath. 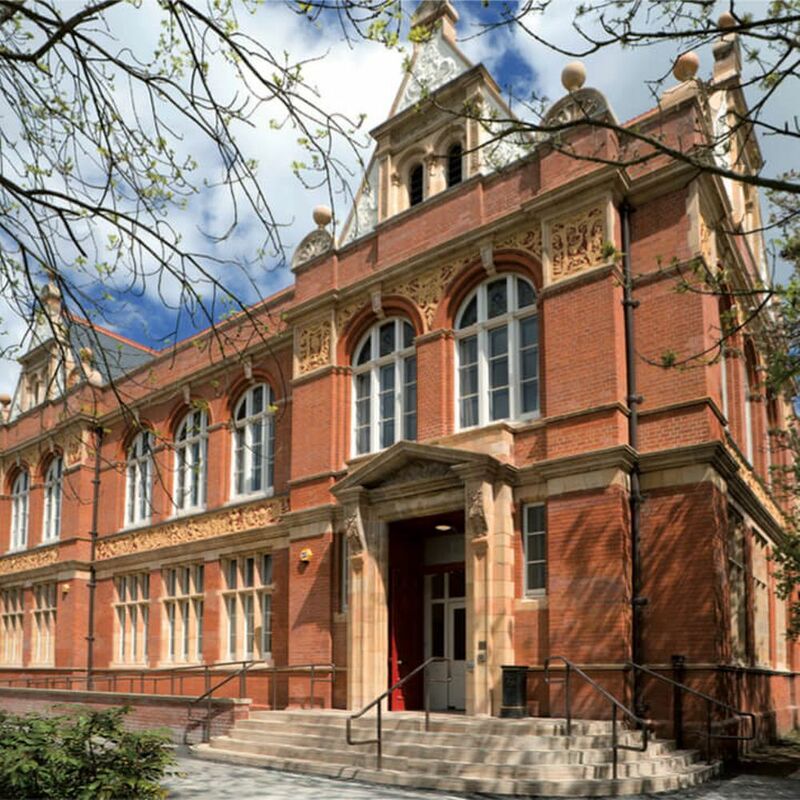 Situated at the South end of the village, Blackheath Halls are on the junction of Lee Road and Belmont Hill. There is ample parking in the Station Car Park which is two minutes walk from the Halls. Please note there is no parking at the Halls themselves and that parking is not permitted on Blackheath Park.